Last European county to fall from communism. Possibly the most corrupt country in all of Europe. Recognised religions: Islam, Roman Catholicism, Orthodoxy and Evangelical Christianity since 2010. One third of the population is under the age of 18. Approx 28% of children aged 5 – 14 are in child labour. 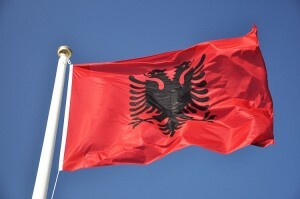 In 1990 Albania ended 44 years of xenophobic communist rule under dictator Enver Hoxha and established a multiparty democracy. The transition has proven difficult as corrupt governments have tried to deal with high unemployment, a dilapidated infrastructure, widespread gangsterism, and disruptive political opponents. The Democratic party were re-elected in 2009 for another four year term under leader Sali Berisha and are trying very hard to get into the European Union. As of 2008 they have joined NATO. Muslims, who make up the largest traditional religious group (70%), adhere to a moderate form of Sunni Islam. The Albanian Autocephalous Orthodox (20%) and Roman Catholic Churches (10%) are the other large denominations. Evangelical Christianity is still considered a cult.